Sailing holidays in Seychelles takes us to the Garden of Eden. This paradise islands archipelago offers countless white and sandy beaches one more beautiful than the other. We walk through rainforests, snorkell at the coral reefs, dive with sea turtles, and pet Giant Tortoises. The sound of tropical birds is like a music to our ears, gentle breeze fills our sails every day and turquoise water is just like from Hollywood movies that we all watched. On every second beach we admire the trademark of Seychelles, granite boulders and rock formations sculptured by the hand of the greatest artist: time. Small distance between the anchorages allow us to spend more time exploring, relax or practice our sailing skills. The worlds most beautiful palms, Coco De Mer are omnipresent as well as their nuts, weighing up to 20kg! There is a lot of work done to preserve this beautiful place and many marine parks, nature reserves and biodiversity zones are established many of which we visit. Thank you Nature for creating Seychelles. Thank you Seychelles for being here for us. We respect you, leave only footsteps behind and take only photographs. Our starting point is Eden Island Marina in the capital of Seychelles: Victoria. The largest city of the whole archipelago counts 60.000 inhabitants but feels more like a paradise village. Immediately upon arrival we feel the vibe of lives being spent under the equatorial sun. Everyone is kind and welcoming and our arrival day goes by pleasantly. We meet our fellow sailors, provision the yachts by visiting nearby supermarket and the local fruit market. In the evening we stroll around admiring local art crafts and finally dining altogether at one of the restaurants. Palms surround us, green hills comfort the eyes and a constant gentle breeze refreshes our arrival. Welcome to the sailing holidays in Seychelles. Welcome to the `Garden of Eden` route. Arrival from Seychelles International Airport to The Marina will take you only 15 minutes (7km). It really cannot be closer. A sailing path between coral reefs takes us out of the marina. Enjoying our first day under the sails we leave the marina and sail around northern part of Mahe island. The sea breeze that we catch is of perfect strength allowing us to reach a comfortable sailing speed. The hills of Mahe, palms, white beaches, and straw thatched roofs of villas pass by and we arrive to our first lunch stop. Water is electric blue, coral reefs invite to snorkel and we happily plunge into the water. A few hours later we arrive to Theresa island and drop our anchor for the night. It is an uninhabited island! While the stars come out at night we feel that we finally arrived to the paradise we searched for. And it`s only a beginning! Note: Remember to bring your music instruments! It`s a perfect place to make our own music and sing! Guess what is my favorite part of anchoring next to a paradise beach? Mornings…. waking up to the sounds of tropical birds, setting a kettle for coffee and tea and diving straight into the sea from our yachts for a refreshing morning swim. For me, that is living at it`s most beautiful moment. After the breakfast we lift up the anchor and sail further south along many white and sandy beaches. Who wants to learn how to operate our yacht under the patient eye of the skipper? Anchoring at Lazare bay with it`s wide beaches and overhanging palms starts our evening. We go onshore and have a short hike towards Anse Soleil bay. What do you say for sitting at the beach, enjoying a meal in the restaurant and admiring the sunset? I am in! As we are sailing in one of the best possible diving locations in the world anyone who wants can join us for a half a day diving session. No worries if you have never done it before, we will get a complete introduction to the basics and professional instructors to take care of us underwater. While diving in Seychelles we hope to spot sea turtles, mantas, all sorts of tropical fish and maybe even a friendly vegetarian (eats only plants and garbage) Whale Shark. Exciting and unforgettable! The sailing distance from La Digue to The Sisters is short, therefore we use this time to practice our sailing manoeuvers and learn more about how to master our sailboats. It`s us who sail the boats, not the boats who sail us! A lunch stop is foreseen at a beautiful and remote beach where no road leads to while in the evening we drop anchor at the shores of The Sister islands. It`s a small island but the beauty of it surpasses many. Palms? Granite boulders on the beach? White sand? All what you associate with Seychelles is here. Let`s enjoy! Coco Island is one of the most impressive snorkelling spots. A few granite rocks with palms sticking out of it mark the marine park territory. Coral reefs surround this heavenly spot so we can anchor only if a few spots. Shallow turquoise sea fringed by expanses of corals provide the most breathtaking experience. If the winds are forecasted to be calm we can even stay here for the night! Our sailing holiday in Seychelles continues towards the 2nd largest island in this archipelago. On the Prasilin island we hike to the Vallée de Mai (Unesco World Heritage Site). It is so remarkable that it was once believed to be the original site of the Garden of Eden, this hauntingly beautiful primeval forest is home to some 6000 Coco-de-mer trees, considered to be among the botanical wonders of the world. The nuts of this tree weights up to 20 kilograms! The hike is crowned by a visit to a waterfall with which waters we can refresh ourselves and drink from the spring of eternal beauty, richness and happiness! As the town offers many facilities we can rent scooters and explore the island further to find a perfect spot for admiring the sunset. The whole island of Curieuse is a protected area which aims to conserve the rainforest, preserve the biodiversity and care for the 150 Giant Tortoise living on this island. The trail from Bay Laraie to Anse José bay passes through thick mangrove forest and is one of the most breathtaking sites on the island. We can spot the giants, listen to the song of the most unique birds and finish the walk with a picnic on the other side. Snorkelling is excellent all around our yachts, so we stay here overnight and maybe even sit around the fire with the park rangers. Being one of the richest biodiversity hot-spots in the western Indian Ocean Silhouette Island is yet another protected area in Seychelles. Our sailing holiday route leads us here to spend the last night outside the Marina. It is home to many endemic plants and animal species and has large areas of primeval forest, mist forests as well as breathtaking viewpoints at the maximal height of 740m. What is more there is just one hotel, so beaches will be as empty as they can be in Seychelles. Perfect for laying on the white sand, watching the stars and thinking of what privileged and happy we are to be in this place. Garden of Eden it is. Remember to bring your ABC snorkeling set. 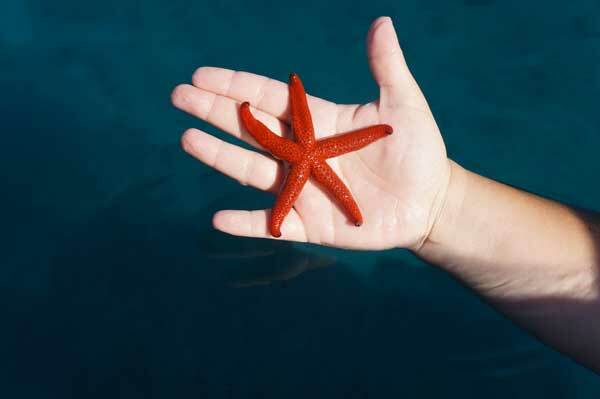 The sea in Seychelles is full of marine life! We always have a regatta on Friday, the last day of our sailing holidays in the Seychelles. We put our newly learnt skills into use and you take the reins. Skippers do not help at all and the team has lots of fun and a little prize at the end! 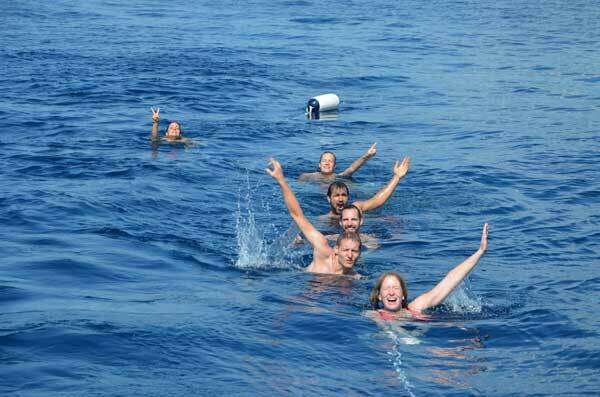 Join us for flotilla sailing holidays in Seychelles! Check-ins day is always on the first day of the trip. It is also the first day we sleep on our yachts. Check-ins are always at 15h00-19h00 (if you need to arrive outside this hours – please let me know). Check-in days are presented on each route website, destinations page and booking-now page! 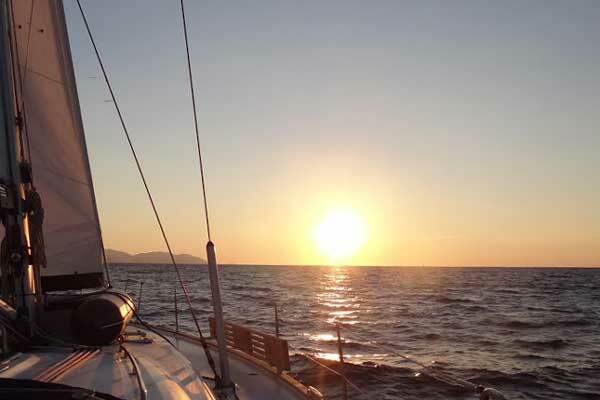 On the check-in day we get on board and provision the yacht, have a welcome meeting and go out for a common dinner. We leave the marina on the day following the check-in. For example, in Croatia we always have a check-in on Saturday and leave the marina on Sunday morning. Check out day is always on the last day of the trip. We need to leave the yachts by 10h00 or 09h00 in the morning. We come back to the marina on the day before check-out date, in the afternoon: 15h00-18h00. On that evening, we have the good-bye meeting and enjoy our last dinner together in a restaurant. We still sleep on a yacht that night! Exact duration of the trip and the amount of nights on board are always indicated on the website and on your invoice. HOW MANY YACHTS WILL BE IN SEYCHELLES FLOTILLA? There won`t be more than 5 yachts in our Seychelles flotilla. This allows us to fit into small and uninhabited bays, moor at little restaurants and it makes the group small enough to have a cosy and friendly atmosphere that allows spontaneous ideas to come to life! For example: hiking the nearby hill to admire the sunset, going to a local concert or jamming on our yachts! Join Sailing Holidays In Seychelles!